This postcard introduces an illustration of a bicycle, which is “the” choice when it comes to commuting in Copenhagen, with the humorous title “meet the locals of Copenhagen”. Inspiration: Soul of City is a collection about our perception of cities, countries and their culture. It aims to present the patterns we observe, the elements we find unique, and the keywords we associate with urban environments. The collection is unique with its humorous, smart, and modern approach. 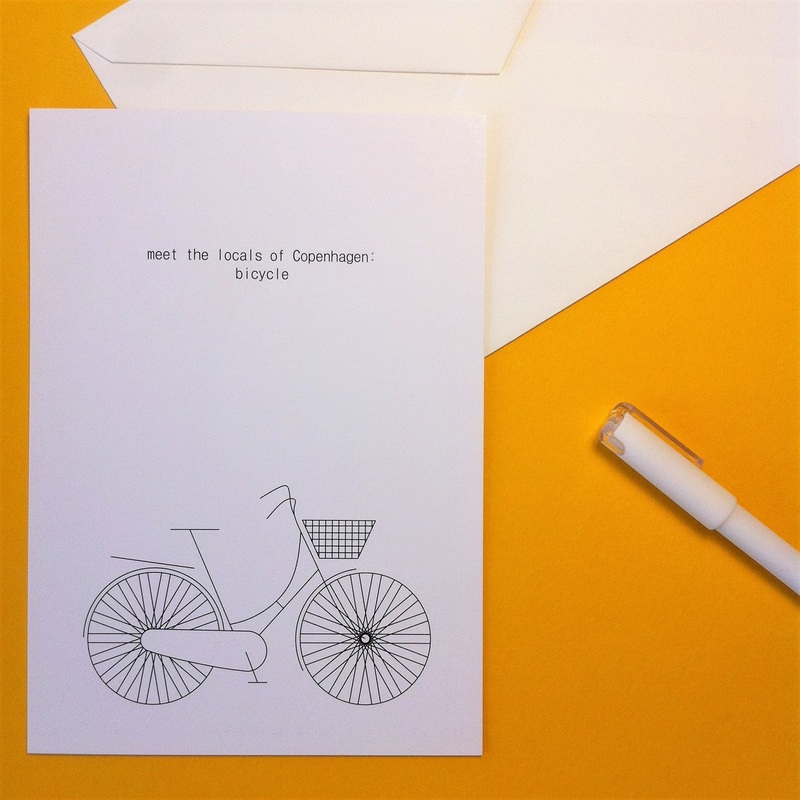 Description: This postcard introduces an illustration of a bicycle, which is “the” choice when it comes to commuting in Copenhagen, with the humorous title “meet the locals of Copenhagen”.